VPN services are meant to protect users, not spook them off, but that is probably what VIP72 VPN provider seems to indulge in. In a website reminiscent of the dark technological scenarios shown in the popular Netflix original drama named Black Mirror, VIP72 VPN is not a service most users would like to opt for. The prices are outlandish, there are limits to how many times you can switch proxies within each plan, the website is incredibly unattractive, no client apps are being offered and that is just the start of things that are wrong with this provider. We can’t seem to understand as to why a VPN would build a service like this especially when the other Best VPN providers are putting in maximum efforts to make their services as user-friendly and as cheap as they can. To know more about this eccentric VPN provider, read this all-comprehensive VIP72 Review, done exclusively by BestVPN.co! Vip72 is a US-based provider that offers a VPN, along with a Proxy and Socks service. It promises to protect your privacy and security of data when connected to the internet. However, with the service linked to the infamous Bunitu Trojan botnet attacks, it seems quite contrary. Around two years ago, the provider was under investigation for using infected hosts as proxies for their service. Continue reading this Vip72 review for more info on the provider. Our Vip72 review unveils that the VPN boasts one of the most intricate and expensive pricing structures in the marketplace. There are different plans for its OpenVPN and Proxy/Socks service. The first plan known as the “DEMO” starts at $3.00 and gives you access to the VPN for only two days with a socks proxy limit of 10. The “Start” plan gives you access to the VPN for 10 days. Priced at $12.00, you have a 90 Socks Limit. This is quite costly, as in comparison to other more prominent providers; you can gain 3-month access to secure servers for the same budget. The rates continue to increase with Month, Maximum A, Maximum B, Maximum C, Maximum D, and VIP72 plans ranging from $50 to $200. If you want a yearly subscription, you have to pay $299! We are not exactly sure as to why Vip72 tends to be so expensive. Most importantly, we wonder why users would settle to limits imposed on the Socks proxies usable and the number of times you can change from one proxy to another. Yes, you heard that right. In another page for its pricing, the VPN lists costs for its OpenVPN Tariff – setting limits to the number of proxy changes. As you can see below, the OpenVPN – 1-Day plan costs around $3.00 and allows only one change in proxy. Although the numbers increase – as you opt for more top-tier plans – this act almost seems as if the VPN is ripping customers off. Since we now live in a world, which demands access to unlimited proxies and servers for lesser prices, this is definitely a shocker. Our Vip72 review discovers the pricing getting more complicated with the individual server buying structure. On a separate page, customers have the ability of buying singular servers in different locations for their DoubleVPN service. Though there is no denying that you can leverage extra security, limiting plans to single locations is something difficult to measure. Depending on the level of security and privacy protocols, the pricing for different locations will fluctuate. This means, what you pay for a US-based DoubleVPN server may be different in comparison to another one from Germany. What exactly is the VPN hoping to achieve with this tactic? Is pricing different VPN servers according to location a new trend in marketplace? These are question we would like Vip72 to clear up for all users. When we went through VIP72’s pricing plans, for the first time in our review careers in which we analyzed and evaluated tens of VPN providers, we were left flabbergasted. They are offering 3-day plans at prices on which you can get a full blown 3-month subscription at other, much better VPN providers. Moreover, VIP72 VPN doesn’t even seem to offer any sort of free trial, not even a money back guarantee sort of thing which makes us doubt as to whether it has got any subscriptions flowing into its service at the moment. This is quite a doubtful service that was mired in big malware controversy some years back, so even if you come across a crack version of the service that offers you to use the service for free, we sincerely recommend that you stay away from it. In our view, any other VPN is a good alternative for VIP72. That’s because the service is so incredibly ridiculous that even the worst of VPN providers seem to look good in front of it. Offering over 4000 servers worldwide, comparing NordVPN with VIP72 would be quite a disgrace to the former. NordVPN sets industry benchmarks on how things should be done as top VPN provider. It offers some of the most user-friendly dedicated VPN client apps, has a clear zero logging policy, supports multiple protocols including OpenVPN, offers enhanced security features like DoubleVPN and even uses military-grade AES-256 encryption to secure user data with utmost respect to privacy. But the advantages don’t stop there as this provider offers Netflix US unblocking facilities which makes it the Best VPN for unblocking geo-restricted streaming sites. 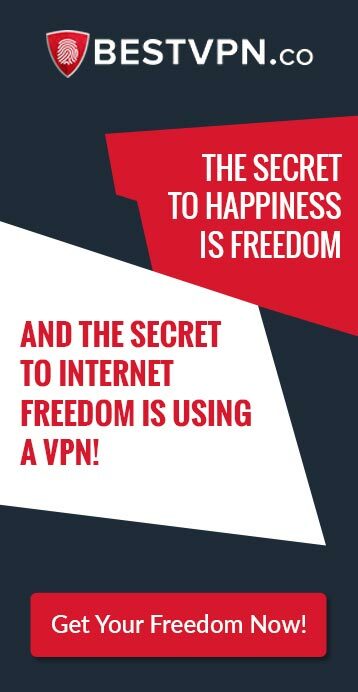 Offering stellar performance on all of its featured offerings, ExpressVPN is the first choice VPN service for a majority of first time VPN users out there, just because of the positive word of mouth this provider gets from the hundreds of thousands of VPN users that have immense faith in the servicé’s infallibility. ExpressVPN has a highly robust server infrastructure consisting of over 2000 servers worldwide, along with AES-256 encryption, OpenVPN protocol support, multiple simultaneous connections, a SmartDNS service and much more. Furthermore, this provider offers a highly responsive live chat support that can guide you on any issue related to the service like the best servers for unblocking Netflix US or the BBC iPlayer. It even has some of the best tutorial video sets in the VPN domain. Definitely the Best VPN in our view. Its prices are a bit on the higher side, but even then they are not as outrageous as VIP72. Our Vip72 review unveils that you need to register for an account before proceeding to buy a plan. Luckily, the signup process is incredibly simple. All you have to do is click on the “Register” tab. Enter your username, password, a custom 5 digit PIN, and the security code. There is no need for users to enter their email address. This ensures you remain completely anonymous throughout the entire VPN signup process. Upon clicking on the register button, the site will tell you to save your login details. You will also receive a token code. It is imperative that you keep this code safe. Upon completion of the registration process, log in using your credentials. Click on the “Buy Proxy” tab. Select a plan that best suits your needs and requirements. Click on the “Buy Now” option and follow instructions for completing payment. With Vip72 being incredibly private about offering details about its service and adding a captcha/token/PPIN system that requires your input for logging in, privacy-focused enthusiasts have become quite intrigued about the provider. Many often search for login usernames and passwords on Google, which redirects them to many YouTube videos and other scam sites. Avoid performing any tasks told to reveal the login credentials, and most importantly ignore fake videos – as the only way to gain access to Vip72 is to sign up the right way! Our Vip72 review discloses that there is no cracked version for the VPN. In fact, there is no need for you to invest time in finding hacked usernames and passwords. The DEMO plan priced at $3.00, gives you two days’ time for testing the service. This is quite convenient if you need access to a VPN urgently. According to our Vip72 review, the VPN does not provide much information regarding the accepted payment methods. However, if you purchase a plan, you do have some options available. These include automatic pay-systems, such as WebMoney, Bitcoin, Perfect Money, and Liberty Reserve. Unfortunately, Vip72 does not offer any kind of refund or money-back guarantee. This proves to be rather disappointing, as the costs for a one-month plan is a whopping $30. For the same price, individuals can easily get a plan that lasts for six months, and that too with a refund! Our Vip72 review unwinds that the VPN has servers in 10 countries. It offers OpenVPN servers in Luxemburg, Czech Republic, Panama, Malaysia, United States, Sweden, Netherlands, Switzerland, Germany and Latvia. You even have DoubleVPN solutions like USA-Europe, Netherlands-Luxembourg, UK-Belgium, UK-France, Germany-Sweden, Germany-Netherlands, and Switzerland-Latvia. All servers offer decent speed and allow you to bypass geo-location restrictions, along with censorship imposed by firewalls or the government. You also have a vast selection of 25,000+ proxy servers and online SOCKS in 184 countries. The provider does not throttle bandwidth or impose data limits. Different plans impose restrictions on the amount of times you can change your server location. According to our Vip72 review, the VPN comes with a pre-configured Proxifier. It is incredibly easy to use and simply requires the loading of a configuration file. By connecting to any one of the proxies, you can gain access to unblocked content. The proxy service processes your request and returns you to the site that was previously inaccessible. The only issue with Vip72 is that majority of its proxies are blacklisted – thanks to the Bunitu Trojan scenario. Even though it has been two years since the occurrence of those botnet attacks, Vip72 is under constant surveillance by Antivirus companies and security firms. The customers are entirely responsible for the risks associated with joining the service. Since Vip72 is a US-based VPN provider, it has to comply with certain data retention laws to prevent copyright infringement issues. Nevertheless, our Vip72 review finds that there is no mention on the site regarding logging of any kind of information. In fact, users are not even required to give their email address to sign up with the service. The site utilizes the best SSL certificate for maximum security and there are zero trackers present on all pages. For visiting certain pages, there is an extra level of verification added. For instance, you need to enter a security code each time you visit the pricing page. This means, the provider really works hard in offering maximum protection and anonymity. OpenVPN protocol is available for connection. However, if you want to leverage additional security, you can utilize DoubleVPN. There is a small terms of service page that describes the acts users should avoid. If you are caught violating the terms of service, you will be charged $0.1 for each used proxy as a penalty. This is quite harsh in our opinion and makes us question whether Vip72 actually logs data or not. According to our Vip72 review, the VPN provider only supports OpenVPN (TCP and UDP) protocols. You do not have the option to use L2PT, SSL, PPTP, SSTP, and IPSec protocols. As a special security measure, you do have DoubleVPN available – a protocol that very few providers offer. This option enables you to leverage extra security for your online traffic via two VPN servers in different locations. If you require a high level of privacy and anonymity, this option is the right way to go. However, it is imperative to know that DoubleVPN can drastically reduce bandwidth speeds. Our Vip72 review discovers that the VPN grants P2P/Torrenting on all its servers with the exemption of those in the US. Since the country has strict rules against torrenting, it is highly unlikely you can download/share files via torrents. Nevertheless, you do have the ability of connecting to other locations for bypassing internet censorship and accessing blocked torrent sites like extratorrent.cc, kickasstorrent.to, torrentz.eu and yts.ag, along with geo-restricted websites like Spotify, Hulu, BBC iPlayer, Netflix, HBO, and AMC. Vip72 exists as one the largest providers of Socks proxy service. 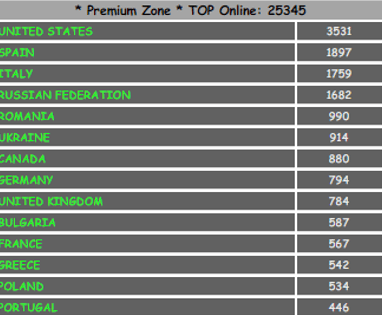 It offers users the ability to access 25,000+ IP’s across 184 countries. This internet protocol routes data packets from users to servers through a proxy, which not only hides your Tor browser usage, but also blocks circumventing firewalls. The SOCKS server typically establish a TCP connection to another server on behalf of a client. This routes all the traffic between the server and client. Users also have the option of using SOCKS5, which gives them additional security and privacy. Our Vip72 review finds that the service uses VPN token for promoting better safety and security for connections. This two-factor authentication not only provides end users with a password, but it also authenticates the device used for establishing a connection. This ensures that only authorized users from recognized devices can connect to a VPN from the service. This token can be software or hardware based. However, Vip72 uses software tokens for authorizing remotely connected users instantly. The fact that Vip72 is a US-based service proves to be a huge downside, as the country boasts strong online piracy and copyright laws. This makes it difficult to believe that the service offers the utmost level of privacy and security. Nevertheless, upon observing the website and its pages, we are certain the site does not log any information. It is not even necessary to use private email addresses for the sign up process! This is perhaps the first service we observed respecting complete anonymity. There is also no information regarding the monitoring/storing of session data, like IP addresses, page requested, cookie values (sent/received), referrer, and user agent. Things get a little tricky upon digging deeper into the VPN provider. Previously, security researchers in the US were investigating Vip72 for possible involvement in spreading the Bunitu Trojan Botnet. Known as the “TrojanProxy:Win32/Bunitu.F”, this tricky malware would become a menace for every computer infected. 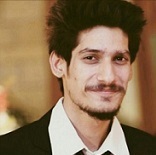 After installing itself, the malware opens ports for remote connections on infected computers by registering them as servers. Upon infecting registries, blocking antivirus, and decreasing internet speed, this botnet accepts connections from exposed ports to bypass traffic from all over the world. Malwarebytes Labs performed a thorough experiment to figure out the main source of the attack. The findings linked back to Vip72, which even listed the security firms’ reverse engineered Bunitu “honeypot” as an available exist IP address. Upon further observation, Malwarebytes Labs’ report concluded the VPN provider has direct access to the Bunitu botnet server to list proxies for its service. Although Vip72 is still active, it definitely is not a safe option for users, considering the site is under constant surveillance. Every website that accepts and stores usernames, passwords, and payment information must boast a powerful and secure SSL certificate. This will activate padlock and https protocol to allow for more stability and security on the website. 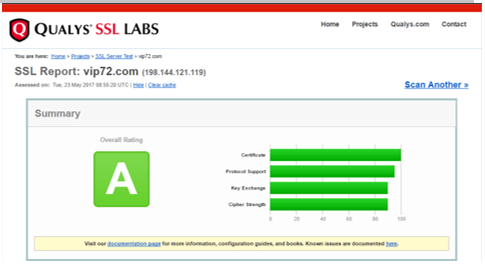 During our Vip72 review, we performed a SSL certificate test. The findings reveal that the website uses certificate grade A+. This ensures that you leverage top security and privacy when using the website. You can feel assured your sensitive personal information remains completely confidential. During our Vip72 review, we performed a Tracker Test. 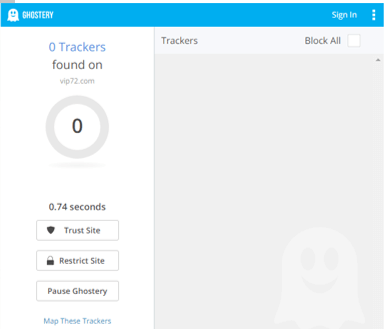 The results from Ghostery unveiled that the site boasts ZERO trackers. Most services add Google Analytics for measuring site performance, but the VPN has avoided that too. 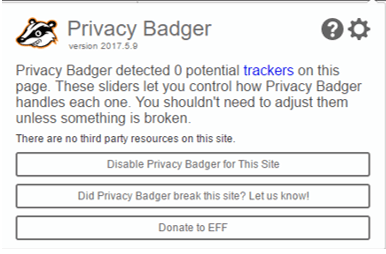 To double-check the findings, we performed another test with Privacy Badger. This software also detected zero trackers on the page. This means, there are no third-party resources present on the site looking to track/record your information. According to our Vip72 review, the service almost has a non-existent support system. Upon visiting the website, you will notice everything is quite basic. There is not much information about the main aspects of the service, neither are there forums or FAQ sections available to solve common queries. Live chat is not available. The site does not even have a contact form! Vip72 certainly lacks many vital elements and details. The only support customers have is through email, yahoo messenger and ICQ. You can email the service at support@j.vip72.org or send a request at vip72sup1 (Yahoo). However, do not expect to get early responses. The support team of VPN is very sluggish. Numerous customers have reported delays of weeks upon contacting them. This means, when you join Vip72, you are literally on your own. Vip72 offers a client available for all versions of Windows. There is no software for Linux or Mac operating systems. Android and iOS users do not have access to mobile apps either. The provider uses its own version of the OpenVPN client. You will need to configure the service manually. After creating an account and subscribing to a plan, you will gain the capability of downloading a Windows client. This software will work on all versions/updates of Windows 7. The same client used for Windows 7 is also compatible with the latest operating systems from Microsoft. This means, you can use the software on Microsoft Windows 8 too. The same goes for Windows 10 users. You need not worry about the service giving installation issues. The download file is hardly 2MB and takes few seconds to install. Vip72 offers plenty of different features to users, among them include the famous SOCKS with Proxifier. For the tech-savvy, you probably have an idea the role a SOCKS proxy plays in securing and anonymizing your P2P/Torrenting activity. Added with the Proxifier, Vip72 just might manage to offer exceptional anonymity online, but considering their site is highly unprofessional and ambiguous about revealing more details about this service, we will soon update this section after performing a proper testing! For users who want to download the Vip72 SOCKS client, you will first have to sign up for an account. This can be done by checking the registration page out, where you only have to add your username, password, and a PPIN (5 digits), which will grant you access to your account. Once done, go to buy proxy and choose any suitable option: login with Captcha or login with Token. Select a suitable plan with the SOCKS client, and you will be redirected to the download page for the client.exe file! As mentioned earlier in the downloads section above, Vip72 does not offer cross-platform compatibility. This means, users do not have native apps for Mac, iPhone/iPad, Linux, Android, and other operating systems. You can only download the main client for your Windows platform, which is a personalized version of the OpenVPN client. Therefore, even if you want to use Vip72 on your Mac or iPhone, you will have to rely on services like Tunnelblick! Our findings from the Vip72 review unveil that the VPN provider does not have any sort of tutorial guides available on its site. There are no FAQs, troubleshooting pages, or any kind of setup guides pages. Although installing the Windows client is easy, users may experience issues setting up the VPN on other platforms like Mac, Linux, and iOS. Using Vip72 proves to be a little complicated. Enter the service by visiting the proxy page. You will see different color designations. Red color indicates proxy you have just used. A lighter red color unwinds the proxy you used some time ago. Green color specifies the proxy you have not used. Since you have limits on the proxies/servers with basic plans, these indicators help in avoiding bad proxies you may have used earlier. Upon selecting a proxy, a window will open displaying full statistics. Install necessary cities/countries and press the “ActivateFilter” button to start using the VPN. Our Vip72 review establishes that the VPN is quite basic. It offers no impressive features, the support is almost nonexistent, setup guides are missing, and the pricing is too expensive. There are also doubts in the reliability and protection of the service, due to it being under investigation for Bunitu Trojan attacks. Unfortunately, you must approach the VPN with caution. If not Vip72, you always have great alternatives like PureVPN, ExpressVPN, and Ivacy by your side, which offer better encryption, selection of protocols, and list of security features! your review is baseless with an confusing heading!!! VIP72 is the best!! !